Darren M. Shapiro, Esq. has helped a number of families navigate through some of the more complicated areas of the legal system, in regards to issues like custody, child support, and parenting time. When a child is involved in a case, emotions are undoubtedly running high, and it's important to ensure that you have an experienced and skilled attorney such as Mr. Shapiro by your side to help you overcome each hurdle you might face. Mr. Shapiro will help you determine exactly which steps you should take, so you're never felt leaving lost or confused in the face of the legal system. For example, in New York Family Court, child support cases require the court to make a temporary order of support while the case is taking place. This amount is generally calculated according to the needs of the child in question, and this action should be taken according to the law regardless of a sense of urgency or immediacy. Even if the financial disclosure required within the case hasn't been provided, the court should still provide the order. If the information that should be on the financial disclosure has already been provided at the time wherein the temporary order should be entered, such as assets and income of the respondent, then the court will be able to order child support reflecting the child support standards act formula. On the other hand, if such information isn't available, then the child support to be paid should be based on the general needs of the child or children. Ultimately, when an order of child support is finalized, the court will need to make a final order using the child support standards act formula - unless an acceptable agreement has been made between both parties for an alternative amount. The payor from that point would be given credit for any payments given under the temporary support order that existed before the case was finalized. In some cases, the temporary order may be valued at more than the final order, and if this is the case then the payor may be given a credit for future payments of support. When Mr. Shapiro is asked about when child support will have to be paid from, he reminds his clients of the circumstances of the court. In all cases, the court will be required to make the level of child support ordered due according to the final order, retroactive to the date wherein the petition for the child support was filed. In any case where assistance from the public has been involved, the order may go retroactive from the date when that assistance began. Sometimes, arrears appear for child support which are due at the time when the final order takes place. Arrears, alongside any ongoing support payments are paid to the residential parent or custodial parent as the child support order is in action. Once question Mr. Darren Shapiro frequently deals with in his office, is what a parent should do regarding child support if a custody case is yet to be resolved. This matter can be confusing, as if a ruling hasn't been given for custody, it can be difficult to determine exactly who should pay, and who should receive the support. As Mr. Shapiro reminds his clients, the highest court in New York, known as the New York Court of Appeals, holds that in cases of even "shared" custody, the parent with the child the majority of the time should be considered the custodial parent for reasons of support. Because of this, it could be argued that during a pending custody case, the parent who has the child most of the time should attain a temporary child support order. 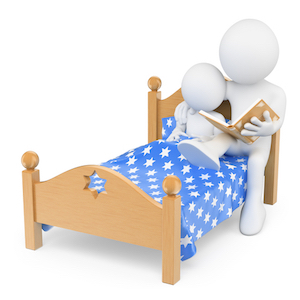 Importantly, the custodial residence of a child is generally held as where the child sleeps most often, and waking hours don't override sleeping hours in the eyes of the court. The appellate courts in New York have ruled in the past that a residential custodial parent shouldn't be ordered to pay child support to the non-residential custodial parent. According to the Second Department, which covers Nassau County and Suffolk County Long Island as well as Queens County and other areas, even when there is an order of "shared" custody, the parent with whom the child resides most often when the circumstances change, should become the custodial parent (de-facto). In these circumstances, even if the custody order is never changed, the de-facto parent could be entitled to receiving and not paying child support. Importantly, Mr. Shapiro reminds his clients that in cases wherein time spent with children remains the same, the New York courts will regard the parent with the higher income to be the non-custodial parent for reasons of child support. Importantly, with the help of an attorney like Mr. Darren Shapiro, there are factors that can be used to argue that a deviation should be taken from the guideline child support amount, and whether child support should be given for combined parental income above the threshold amount. Arguments can be made on both sides of these issues. A further question that Mr. Shapiro encounters in these circumstances, is what should happen regarding child support when a custody order exists in favor of the mother, for example, as the residential custodial parent, and that order is altered during a custody hearing so that the father has majority parenting time. Mr. Darren Shapiro believes that in these situations, strong arguments can be made that the prior child support obligation the father had towards the mother should be terminated, and a temporary order of child support should be issued to the father while a final determination of child support and custody is pending. Since the father in this circumstance will be a de-facto custodial parent, a lawyer may argue that he needs child support and should not have an ongoing obligation to worry about. Of course, the other side can always make a counter-argument that the residential custody order was modified only temporarily, meaning that child support shouldn't be modified until a final order takes place. A support magistrate could be required to rule on that debate in family court proceeding based on the aforementioned facts. If one party disagrees with the temporary ruling that has been made, the party may struggle to find a remedy until a final order is given to the Support Magistrate's ruling since often written objections to a Support Magistrate’s order cannot be made to a temporary ruling. Obviously, issues of family law and child support are rarely as straight forward as people think. For help dealing with your particular case, reach out to Mr. Darren Shapiro for his family law expertise and guidance. You can access your free half-hour consultation in office or over the phone. It would be our pleasure to speak with you.